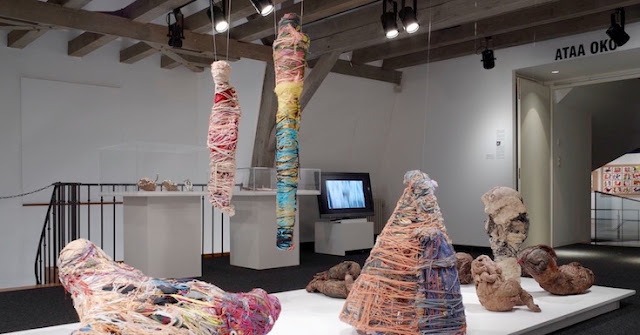 Looking around this particular Brooklyn, New York gallery, one would assume these captivating textile sculptures were made by your typical run-of-the-mill artist type. However, the person behind them couldn’t be farther from that trope, and her story will leave you speechless. 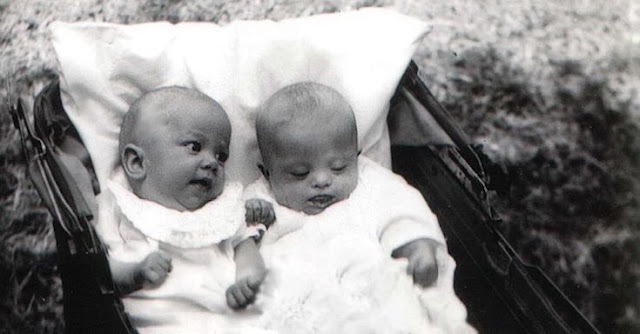 Judith Scott and her twin sister, Joyce, and she were born in Cincinnati during 1943. They were the best of friends and spent all their days together until they turned 7. Judith had Down Syndrome, and her parents did not know how to interact or cope with her. They sent her away to a sanitarium. This was a time when there was very little understanding of the condition, and this was considered an acceptable solution. Time passed, and Joyce grew up, went to college in California, and began working with children with developmental disabilities. She never forgot her sister. As she worked day after day with these children and got to know them and their families, she realized that she had the power to reunite with her sister. Joyce knew she could help Judith. She said in an earlier interview, “I had this feeling that I was there with Judy and that our core was a central core that we shared. It was like someone turning on the light in a dark room. It became clear to me: ‘What on earth is she doing in an institution 2,000 miles away when she could be with us? '” With that, she assumed guardianship of her sister, and the pair were together again. Joyce learned of a studio called Creative Growth, an enrichment center for developmentally disabled adults, and brought Judith there five days a week. There, Judith could experiment with drawing and painting as an outlet to express herself. After two years with the center, Judith finally found a medium that resonated with her. 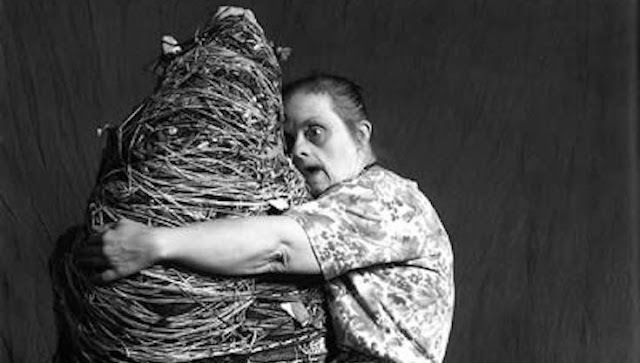 A textile artist gave a presentation that inspired Judith to pick up some sticks and string. She began winding the string around the sticks. That was the first of 200 sculptures that she would create over the course of 18 years. 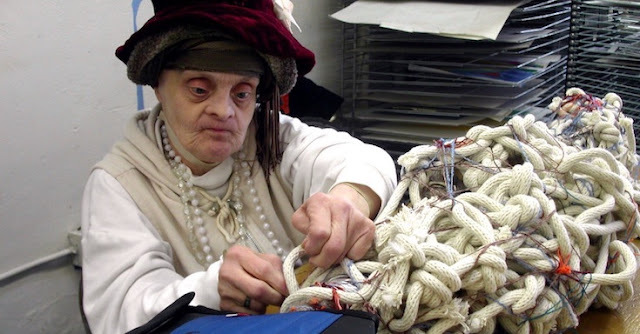 Judith’s life helped many artists with disabilities around the world. In 2005, she passed away peacefully after a typical evening in. Joyce has been spreading her sister’s story since. Though people praise Joyce for changing Judith’s life, Joyce insists that it was in fact Judith who changed hers.